Coalition for Jewish Values criticizes ADL list for one-sidedness. provides list of Alt Left hatemongers. The Coalition for Jewish Values (CJV), a growing organization representing over 200 US mainstream Orthodox rabbis, on Thursday criticized the Anti-Defamation League (ADL) for "abandoning its historic mission of defending the Jewish people" by giving a "free pass" to anti-Semitism coming from left-wing activists. The criticism is in response to the production of a new guide by the ADL, "From Alt Right to Alt Lite: Naming the Hate," listing individuals that the ADL associated with "misogyny, anti-Muslim bigotry and xenophobia." 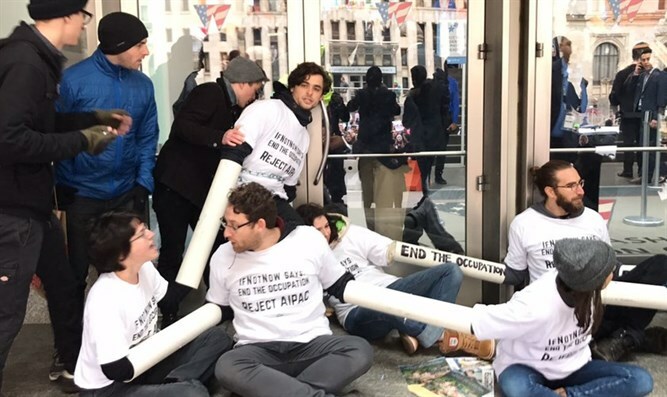 The CJV statement responded that the ADL "tars mainstream conservatives with guilt by association," and that by avoiding critiques of left-wing activists, the ADL "betrays its core mission." "This pattern began in 2015 when Jonathan Greenblatt took over as CEO of the ADL, and accelerated during the Trump presidential campaign," said Rabbi Yaakov Menken, Director of the CJV. "They are promoting the false notion that anti-Semitism is uniquely a right-wing problem." While the CJV called the ADL's list of "Alt Right" leaders "a frightening depiction of American evil," it rejected the "Alt Lite" list as "an often embarrassing exercise in demonization." The ADL lists Corey Stewart, the Chairman of the Prince William Board of County Supervisors, as an "Alt Lite" figure because he "champions the preservation of Confederate monuments" and has "defended the 'heritage' of the Confederate flag." The CJV suggested that this was motivated by politics, given that Stewart announced his candidacy to oppose Democratic Senator Tim Kaine of Virginia just last week. The CJV also provided its own list of ten left-wing figures, each of whom, it said, was both far more prominent and far more guilty of anti-Jewish defamatory speech. The list included NYTimes writer Thomas Friedman, bassist Roger Waters, Keith Ellison and LInda Sarsour, among others. Rabbi Yoel Schonfeld, Senior Rabbinic Fellow of the CJV, commented that "if it is ignoring hate eminating from leading left-wing speakers and accusing innocent conservatives, the ADL has become a dangerous organization of the 'Alt Left' itself." The Coalition for Jewish Values (CJV), directed by prominent rabbinic leaders and representing hundreds of rabbis across North America, is advertised as articulating an authentic Jewish perspective on current events, and promoting Jewish values through writing and teaching derived from traditional Jewish thought.